The frantic rhythms of modern life, stress, poor nutrition, bad ecology cause gastritis – inflammation of the gastric mucosa. In the treatment of gastritis along with comprehensive, medication, is also used hydrotherapy. How to drink mineral water "Essentuki"
What does the number in the label of "Essentuki"
"Hydrotherapy" is the use of mineral waters, designated by the doctor depending on how the secretory function revealed you have gastritis. The availability and cheapness of mineral water makes this method of treatment of diseases of the stomach are particularly popular. To start treatment with mineral water with a visit to the doctor. First and foremost is an analysis of the gastric juice and the type of gastritis. Inflammation of the gastric mucosa is usually accompanied by either excessive formation of acid (gastritis with high acidity) or insufficient (low acidity). Standing out, the hydrochloric acid breaks down received into the stomach food irritates the mucosa, causing inflammation and pain. To repay and mitigate the effect of hydrochloric acid will help an alkali, so the doctor prescribes the use of alkaline mineral water. 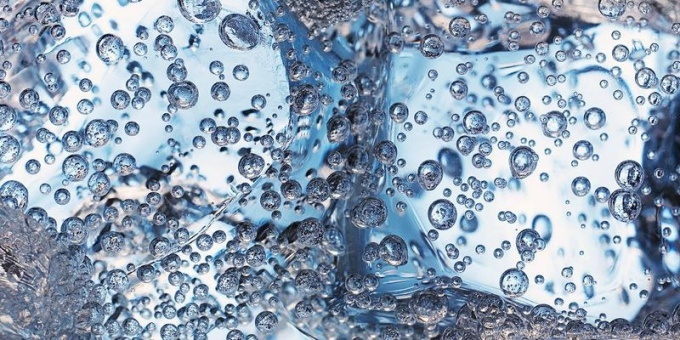 You must keep in mind that the important temperature of mineral water. In gastritis with high acidity is appointed with warm mineral water. Drink it before a meal, about an hour, and SIPS a big gulp. By the time when the food goes into the stomach, water will appear in the intestines and will absorb excess acid from it. Assigned sulphide mineral waters like "Borjomi". Suitable as water from the springs of Zheleznovodsk, Arzni and Matsesta. People suffering from heartburn, emphasize that "Borjomi" without gases helps to get rid of the disease. Alkali sodium bicarbonate of origin is also found in mineral water such as "Avadkhara", "Essentuki-17", "Makhachkala". "Swallow", "Tursch-Su. If the hydrochloric acid in the stomach there are not enough doctors recommend drinking cold water for 15-20 minutes before eating. While in the stomach, she "meets" food influences it acid, helping to be broken down and digested. Gastritis with low acidity, doctors prescribe sodium chloride water like "Essentuki-4", "Izhevsk", "Myrgorodska", "Novoazovskaya", "Tyumen", "Shaambary No. 2", "Feodosiya". It should be noted that treatment is the mineral water. Such water is prescribed to patients with gastritis and not bottled. Hydrotherapy has been successfully used in sanatoriums and resorts, where there are mineral sources such as Essentuki, Truskavets, Baden-Baden.